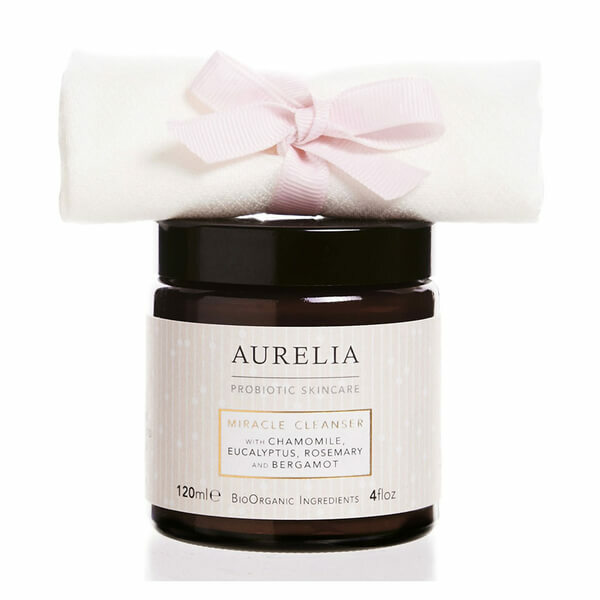 Cleanse and refine your complexion with Aurelia Probiotic Skincare Miracle Cleanser, a creamy facial cleanser that works to banish impurities whilst promoting natural luminosity. Gliding effortlessly across skin, the aromatic formula infused with an invigorating blend of essential oils expertly lifts away makeup and daily build-up to leave skin feeling fresh and clean. When paired with the antibacterial bamboo muslin cloth (included), gentle exfoliation occurs which helps to slough away dulling dead skin cells to inspire a brighter, dewy and luminous complexion. Comes with an antibacterial bamboo muslin cloth. 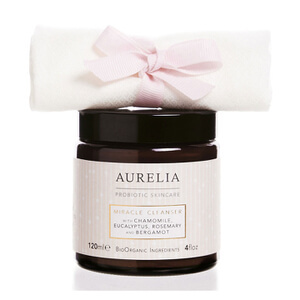 Remove cleanser with Aurelia’s antibacterial bamboo muslin to gently exfoliate and reveal a bright, clean and glowing complexion.